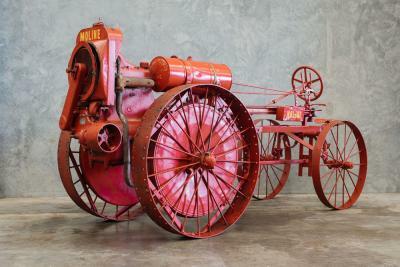 This c1919 Moline Plow Co. Universal Model D tractor sold at auction in Geelong yesterday for $28,340. Acquired by a private gentleman over many years, the collection featured over 100 restored tractors spanning 1919 to 1980. More than 600 collectors and enthusiasts – as well as online and telephone bidders – participated in the auction with spirited bidding that set several Australian auction records. Lot 29, John Deere LA tractor which sold for $19,620. 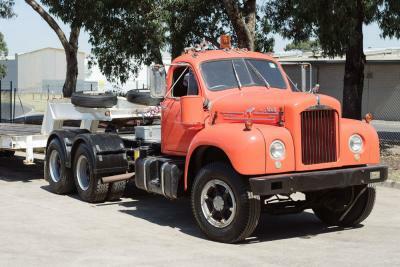 This 1962 Mack B61 Thermodyne truck with Allison twin axle low loader trailer sold for $61,040. The collection represented a lifetime of collecting. Almost all pieces were fully restored and presented in functioning condition, featuring vintage farm engine powered machinery, including crawlers; stationary engines and vehicles of predominantly post-war American makes and models, together with a selection of European and Australian examples. Donington Auctions and Sales director and auctioneer, Robbie Richards, said he was thrilled with the result of over $1 million in sales and 100 per cent clearance rate. 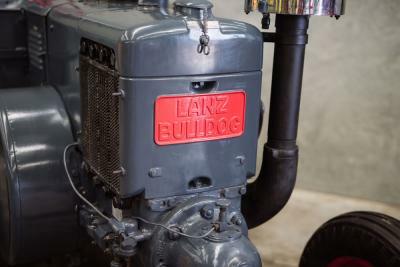 This c1936 Heinrich Lanz – Lanz Bulldog 35 horsepower (Model N) D8500 tractor sold for $28.340. 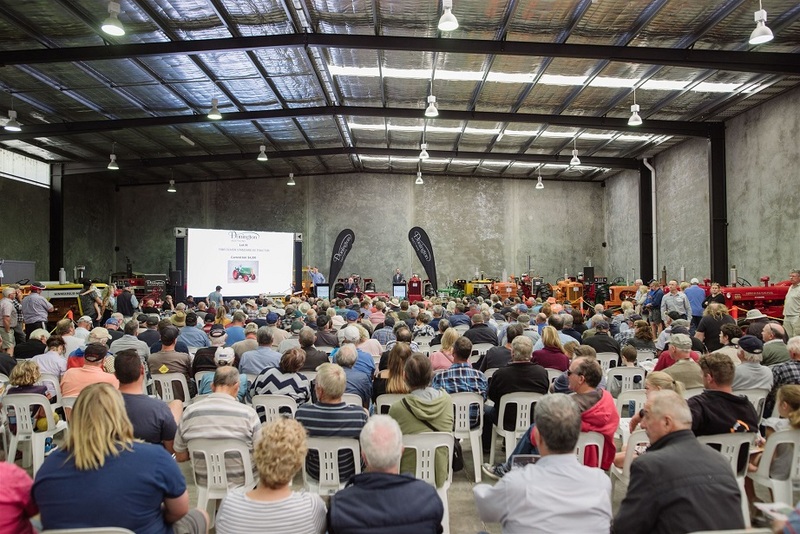 A crowd of more than 600 people attended yesterday’s vintage machinery auction in Geelong, Victoria.